Plaintiffs’ class action attorneys (class counsel) must keep a close watch on communications between defendants and class members – including during pre-certification or opt-in periods – to protect the interests of the class. In employment class and collective actions especially, defendants’ communications with class members pose significant dangers. The risks of undue influence or coercion from power imbalances between employers and their employees loom large. Accordingly, courts place reasoned restrictions on defendant contacts with class members to protect them from misleading, confusing, and coercive communications. Since the Supreme Court’s seminal case Gulf Oil Co. v. Bernard,1 “the trend is to require some form of court supervision of all communications between defendants and potential class members.”2 This article provides a basic overview of California law on communications with class members and best practices to encourage defendants to “do the right thing” when communicating with class member employees by providing Miranda-style disclosures and obtaining written consent. While defense counsel may have the right to speak to employees as witnesses who are proposed class members in defending against a class suit, and some California courts recognize that proposed class members are not represented parties,4 courts will take corrective measure if communications are misleading, coercive, or confusing. For example, in Mevorah v. Wells Fargo Home Mortgage., Inc.,5 the court held that the proper remedy for defense counsel’s misleading and improper interviews of employee class members pre-certification (which were conducted to get information and declarations) was the disclosure by the defendant of all employees contacted for interviews, an opportunity for the plaintiff to depose them, and a prohibition on all class member contacts without approval by the court. The court found that the pre-certification interviews were misleading and improper because they failed to advise employees of (1) the pendency of the litigation and (2) the potentially adverse nature of the corporation’s interest and the employees’ interests. Similarly, in Acosta v. Southwest Fuel Mgmt., Inc.,6 the defendant had interviewed thirty-seven potential class members and submitted their declarations to the court. The court found that the communications between the employees and the employer were coercive and misleading because employees were not being given key information about the lawsuit, such as the time period it covered. The district court excluded those witnesses and their declarations, enjoined the defendants and their counsel from communicating with potential class members about matters related to the case, and fashioned other forms of relief designed to ensure that class members did not feel obligated to speak to defense counsel. Counsel on both sides of the class action should discuss how to minimize the potential dangers in pre-certification communications. To best protect proposed class members’ rights, defense counsel should provide Miranda-style disclosures prior to any discussions or interviews by the employer. Such disclosures should include: (1) written consent to continue the interview; and (2) written explanations that inform employees of the pending class action, that information obtained in the interview could be used against them in the pending suit, that they have no obligation to speak to defense counsel, and that if they refuse to do so, they will not be retaliated against. Fear of coercion and voluntariness are equally applicable in the civil context, where the interrogator – the employer – has the power to take away the interviewee’s livelihood. Embedded in any interview between employer and employee is an inherent coercion; therefore, full disclosure and actual knowledge and express consent to be interviewed must be provided. Perhaps because plaintiffs’ counsel failed to raise the issue that such agreements should be void based on the coercive effects of the settlement “negotiations,” the issue of actual knowledge and consent was not addressed by the court. A policy that allows for the “picking off” of class members prior to certification should be prohibited given the inherent coercion, exploitation, and unfairness such a policy permits. Chindarah should be overturned in light of these principles. Given the importance of the workplace rights involved and the power imbalance embedded in employment relationships, class counsel must keep a close watch on communications between defendant employers, their counsel, and proposed class members. Class counsel should engage defense counsel in setting ground rules for any interviews of proposed class members that include Miranda-type disclosures. 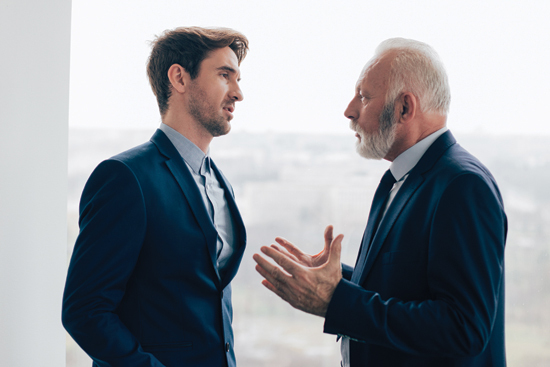 Class counsel should also talk frequently with named plaintiffs and other employee witnesses so that they are aware if and when defendants are speaking to proposed class members about the litigation. Better to be proactive and aware than caught off guard and have to litigate these critical issues after the fact. Jahan C. Sagafi is the partner in charge of the San Francisco office of Outten & Golden LLP, where he represents employees in class actions asserting wage and hour, discrimination, and other claims. Mr. Sagafi is active in the legal community, having served on the boards of Alliance for Justice, the San Francisco American Constitution Society (ACS) chapter, the ACLU of Northern California, and Public Advocates. Earlier in his career, he was a partner at Lieff, Cabraser, Heimann & Bernstein and clerked for the Honorable William W. Schwarzer of the Northern District of California. 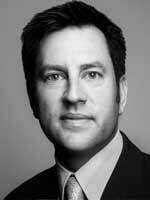 He is a frequent speaker and writer regarding employment litigation, class action jurisprudence, and other issues. 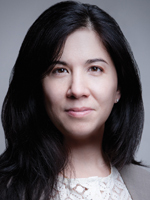 Nantiya Ruan is counsel at Outten & Golden LLP, as well as Professor of the Practice of Law at the University of Denver Sturm College of Law. Ruan represents employees in national employment discrimination and wage and hour class actions and is admitted to practice in California, Colorado, and New York. 1 452 U.S. 89 (1981). 2 1 Bus. & Comm. Lit. in Fed. Courts § 15.21(b) (Robert L. Haig ed.) (West 1998). 3 109 Cal.App.4th 285, 296 (2003). 4 See Atari, Inc. v. Superior Court, 166 Cal.App.3d 867, 873 (1985) (“[W]e cannot accept the suggestion that a potential (but as yet unapproached) class member should be deemed ‘a party . . . represented by counsel’ even before the class is certified.”). 5 No. C-05-1175, 2005 U.S. Dist. Lexis 28615, 2005 WL 4813532 (N.D. Cal. Nov. 17, 2005). 6 2018 WL 2207997, at *2 (C.D. Cal. Feb. 20, 2018). 7 See Quezada v. Schneider Logistics Transloading & Distribution, No. 12-2188 CAS (DTBx) (C.D. Cal. March 25, 2013) (prohibiting defendant’s communications with class members, striking defendant’s 106 declarations, and ordering curative notice); Wright v. Adventures Rolling Cross Country, Inc., No. 12-0982 EMC, 2012 U.S. Dist. LEXIS 83505 (N.D. Cal. June 15, 2012) (granting corrective notice and prohibiting defendants from making contact with proposed class members). 8 Howard Gunty Profit Sharing Plan v. Superior Court 88 Cal.App.4th 572 (2001). See also Pollar v. Judson Steel Corp., 1984 WL 161273, at *2 (N.D. Cal. 1984) (holding that the employer’s communication with class members in an uncertified class action lawsuit were misleading because they did not disclose the existence of the class action lawsuit or identify class counsel). 9 Miranda v. Arizona, 384 U.S. 436 (1966). 10 No. C 16-06772 WHA, 2018 WL 1258192, at *7 (N.D. Cal. Mar. 12, 2018). 11 171 Cal.App.4th 796 (2009).